So finally you ended up buying keyword instapot for you that’s great to know. Is there something which is restricting you from using the appliance still now? Let us guess…. Is it the mechanism which you need to follow for use appearing difficult to you? If yes, then just chill and continue reading this article to learn how to use an instant pot in a systematic and safe manner. The versatility of this Instant Pot is something which makes this an ideal and great companion for kitchen activities. 1 What does it mean by pressure cooking? What does it mean by pressure cooking? The prime function of the instant pots of any model is to help you with pressure cooking. It is the pressure which makes this appliance so multi-functional and versatile appliance for cooking. Pressure cooking is the method which seals food inside the vessel and uses heat for steam making which in turn increases the pressure of the vessel. The pot will now either trap or release the pressure. Under more pressure the point of boiling reaches and that cooks the food faster under high temperature. The advantage of pressure cooking is that it holds the nutrients and flavor of food with low fuel use. First glance the front of the pot with so many buttons with different instructions will make you feel confused. But once you invest some time in understanding the functions of each button things will appear quite simple. Each button stands for a different style of cooking with preset time for cooking along with typical pressure setting to make things user-friendly. Following the instructions of the button you can enjoy slow cooking and pressure cooking. You can cook almost anything like soup, meat, chicken, rice, Porridge, and so many other things. High,” “Low”and“Normal will be the different pressure settings. Just read the instruction book and things will be simple. 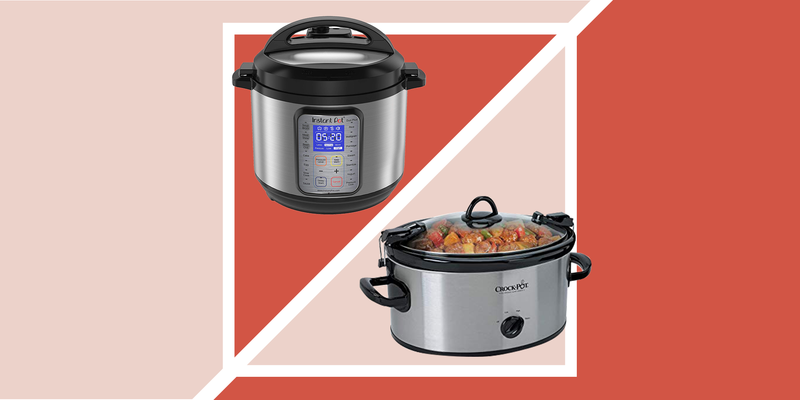 There are two well-defined methods for pressure release from the Instant Pot. One is called natural release and the other one is quick release. The natural release will release the pressure slowly and that too on its own. It will depressurize after heat starts released from cover metal parts. It may take around 10 to 30 minutes time, depending on the liquid amount in the pot. This process will keep the food completely intact. For the quick release method, you need to manually use the valve for steam release and move it to “venting” position. This supports the pot to cool down faster in max 2 minutes time to depressurize it. This method is best suitable for cooking fish like Salomon and Crab, which needs no overcooking. This method is strict no for recipes having high starch content. Ensure all steam is out in both methods before the lid is opened. Never ever make the forceful opening as this may blast the appliance and cause a serious accident. Once you are done with cooking it’s time to get the cleaning done safely. The best thing about instant pot is that cleaning it is very easy when compared to other utensils in the kitchen. Just wash the interior part of pot under running water and then wipe both interior and exterior well with a dry cloth. We will also recommend you to remove the silicon ring once or twice a week to clean the accumulated residue below it. The steam release handle and float valve get sticky over time due to regular use. Ensure you remove the residues with care without hurting any part of the pot. Cleaning instructions will also be mentioned in the instruction book. Read them for proper cleaning techniques. It’s time now to pull the instapot out of the box and start using the same in your kitchen. You will enjoy healthy cooking and that too with low oil using the Instant Pot.